Some of the best custom Christmas ornament crafts are the ones where you use ordinary items in unordinary ways. 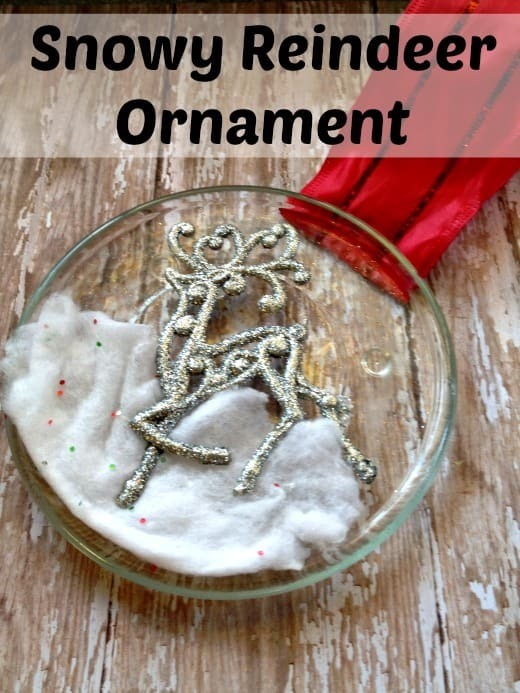 With this DIY snowy reindeer ornament, you will be using some basic dollar store items in some new and exciting ways to get this gorgeous result. All you need is a few supplies, and you will find that this custom Christmas ornament can be made in just minutes. 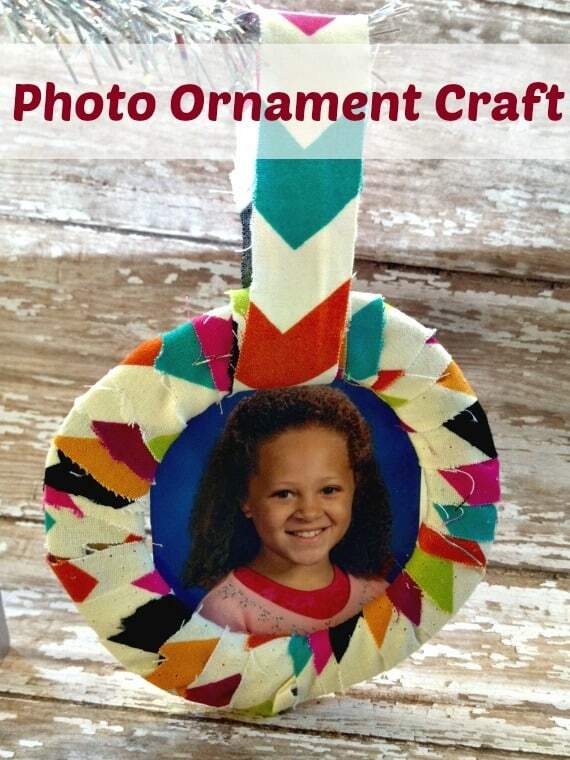 Take a look below at how you can make your very own custom Christmas ornament. 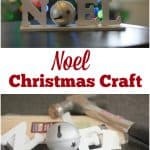 I was able to find all of the supplies used in this custom Christmas ornament craft at my local Dollar Tree store. The reindeer ornament can be found in holiday supplies, the candle base (the clear dish) was found in the craft supplies near the candles, and the snow fabric was on an end cap. It comes in a huge sheet for placing under your tree, so it is perfect for not only this craft but crafts to come as well. 1. 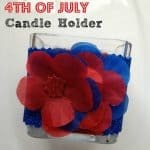 Begin by cutting out a half moon shape of the fabric so it fits over the bottom half of your candle base. Apply some glue to the back of it (the less glittery side) and press it to the glass. 2. Apply some glue to the back of your reindeer ornament. Press it over the snow onto the glass, pressing firmly and holding it for a few seconds so you know it is secure. 3. 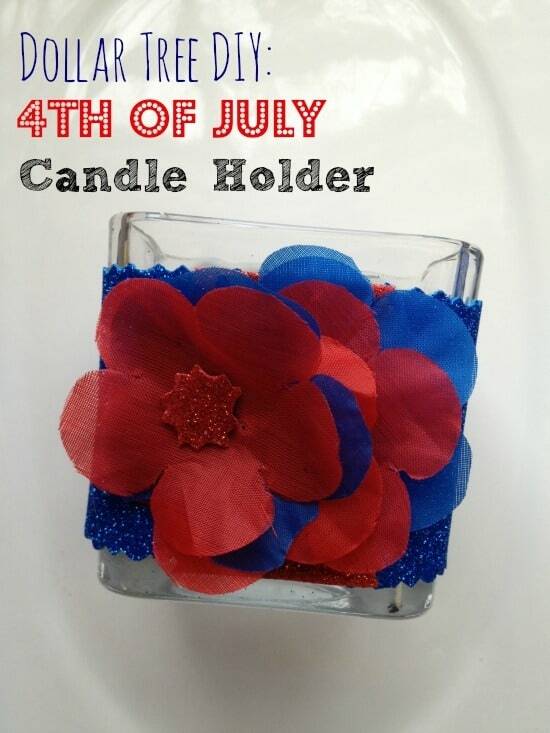 Taking a length of your ribbon, add some glue to the ends and apply it to the back of the candle base. That’s all there is to it! You now have a snowy reindeer custom Christmas ornament made entirely of dollar store supplies yet looking like something you purchased at a boutique. Now the only question is, where do you hang it? 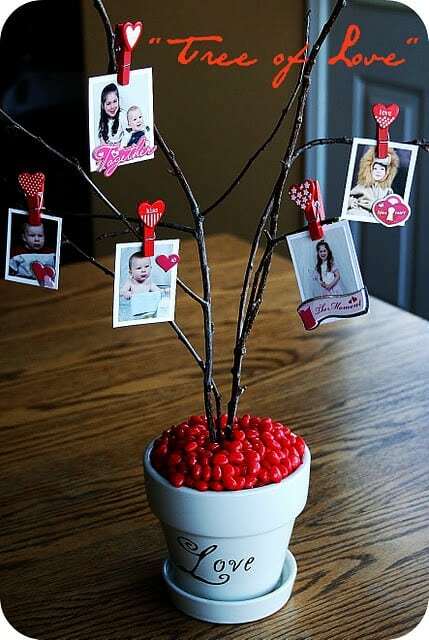 This is a heavier piece so you want to secure it from a sturdy branch on your tree or even a stocking hook. Either way, it is sure to get you in the holiday spirit. Happy custom Christmas ornament crafting! 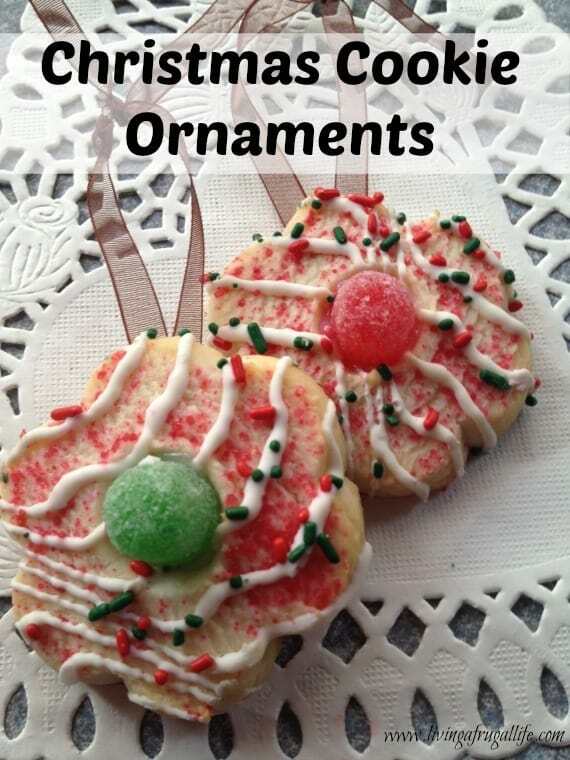 Make more DIY Craft Ornaments! 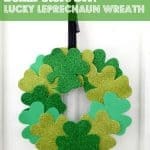 How To Make A DIY St. Patrick’s Day Wreath For Under $5! 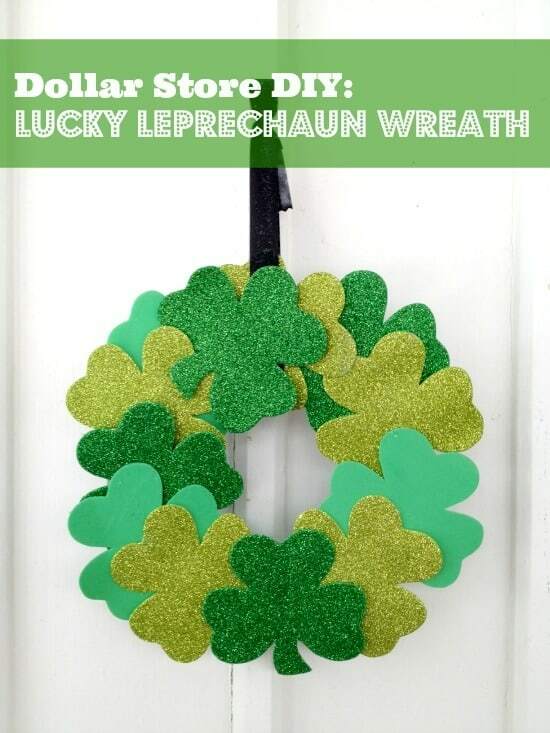 The St. Patrick’s Day holiday is quickly approaching, and It is time to make your DIY St. Patrick’s Day Wreath for under $5! 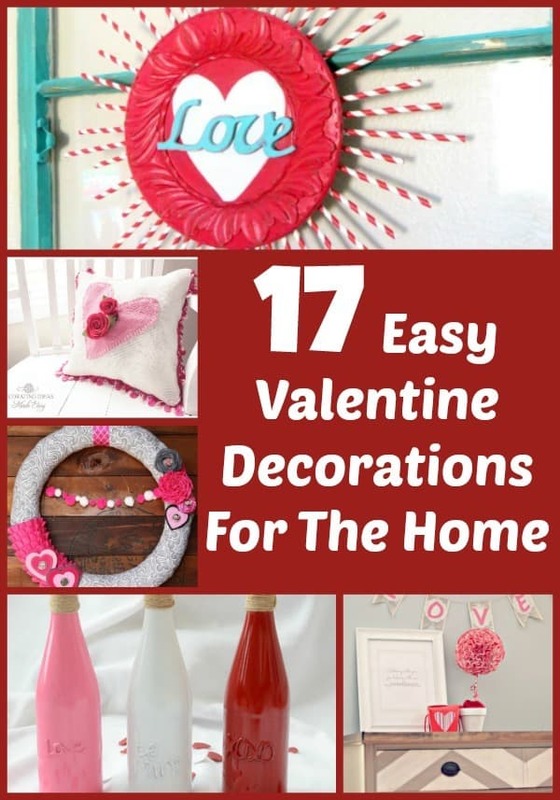 This year, don’t spend big bucks buying St. Patrick’s Day décor at retail prices, instead, try crafting your own and save some money in the process.